Welcome Spring...Sweet little sign for your spring decorating! 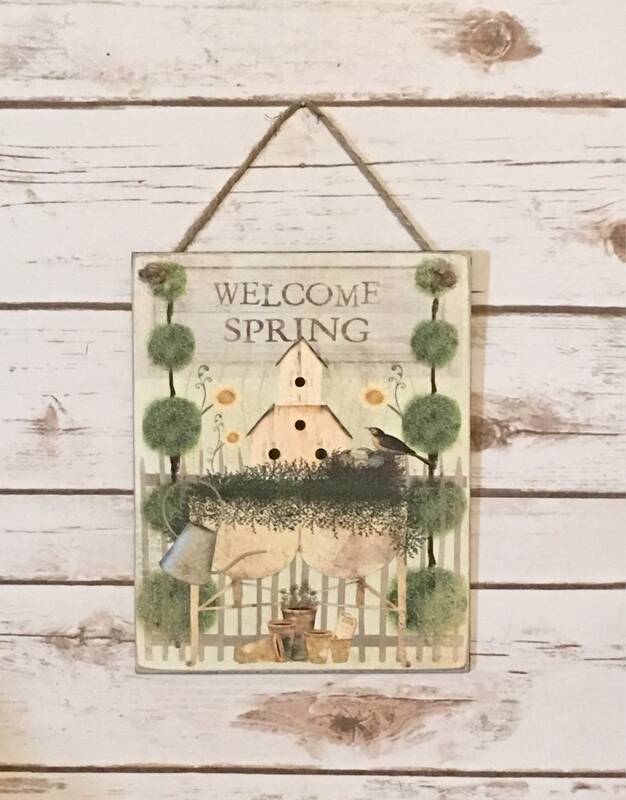 Made from thin birch wood with a wonderful welcome spring print attached to the front. The sign is distressed for a timeworn look. The back and the sides of the sign are painted black.